This week I’ve seen a couple Nissan LEAFs, a few Chevy Volts, and even a Tesla Model S, driving around the streets of the Bay Area. My experience is definitely not the norm across the U.S. According to a report from Pike Research, nearly one out of four plug in electric cars sold in the U.S. by 2020 will be sold in California. That’s likely due to a combination of California’s strong state incentives for electric cars, the state’s population of tech early adopters, the area’s environmental leanings, and its population that in areas like the Bay Area have considerable disposable income. And because the population of California is the most receptive to electric cars, the car manufacturers are also concentrating on the state first and foremost, launching cars in California and opening up dealerships in California first. California also has its own electric car startups, too, including Tesla Motors (s TSLA), Fisker Automotive, and Coda Automotive. 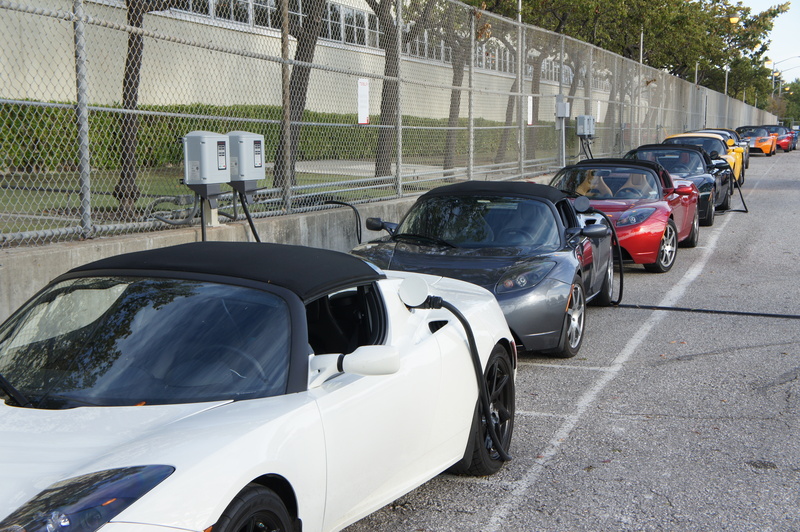 Other states that also have populations interested in electric cars, include New York, Florida, Texas, and Washington. You should take a poll in Hillsboro, Oregon where as a resident I see multiple Nissan Leaf’s daily, the occasional Chevy Volt, and know multiple residents awaiting arrival of Tesla Model S sedans in the next 6-9 months. Nice! Sounds like it has similar demographics as the Bay Area.